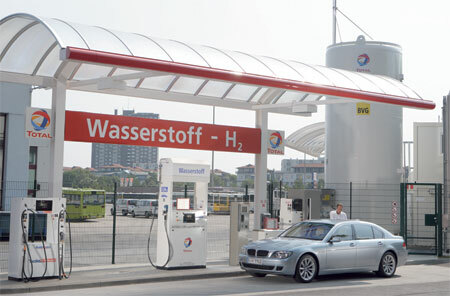 BMW’s Hydrogen 7 is a 100-unit production ready car, powered by a 260hp V12 engine which takes the car from 0-100km/h in 9.5 seconds thanks to 390Nm of torque which peaks at 4,300rpm. While 6.0 litres of V12 goodness based on the unit in the BMW 760i making only 260hp is really nothing to shout about, in fact some might say it’s under performing, but the engine has the ability to use both regular gasoline as well as liquid hydrogen. More details after the jump. Other technological highlights of the dual-powered engine include fully variable VALVETRONIC valve management and variable double-VANOS camshaft control. Fuel in gasoline mode is supplied through direct injection, while hydrogen is supplied via a pipe integrated in the engine’s intake system. Both gas cycle and injection rhythm is controlled by the VALVETRONIC and double-VANOS systems. 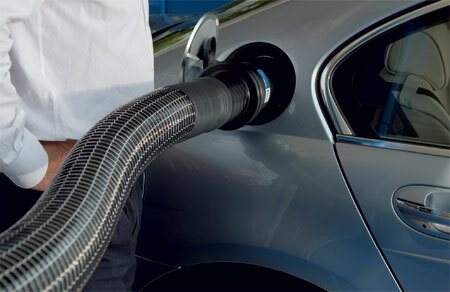 BMW picked liquid hydrogen over a tank with compressed gaseous hydrogen at 700 bar because it offered 75 percent more energy content. 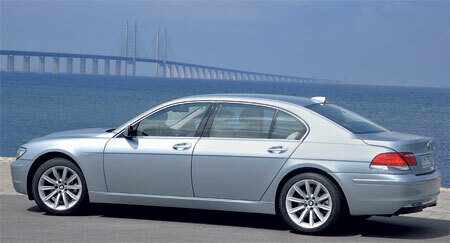 Thanks to the usage of liquid hydrogen, the car goes up to 200km on hydrogen mode, with another 500km in gasoline mode. So technically total range of this car should be about 700km. 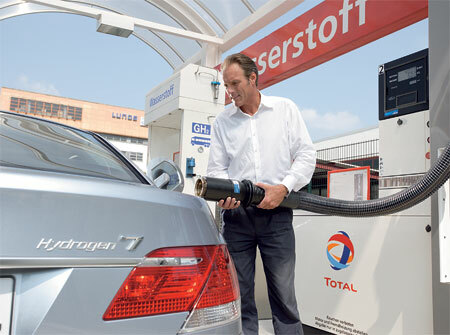 The hydrogen is stored in a tank which can store 8kg of liquid hydrogen, and the car still keeps a conventional petrol tank which stores 74 litres. Storing the 8kg liquid hydrogen tank meant modification to the rear end of the car, which reduced boot capacity to a relatively measely 225 litres. The rear passanger seats have also been turned into a strict 2-seater, with the centre armrest fitted firmly in the middle, thus the BMW Hydrogen 7 is a 4-seater. BMW says the system is lighter than a fuel cell which could hardly offer the same kind of power, and costs less to produce. It is manufactured at BMW’s Dingolfing Plant together with the other models in the BMW 5, 6, and 7-series, with the engine coming from BMW’s plant in Munich. This concept of taking a combustion engine and modifying it for hydrogen use has also been used by Mazda with their Hydrogen RENESIS.